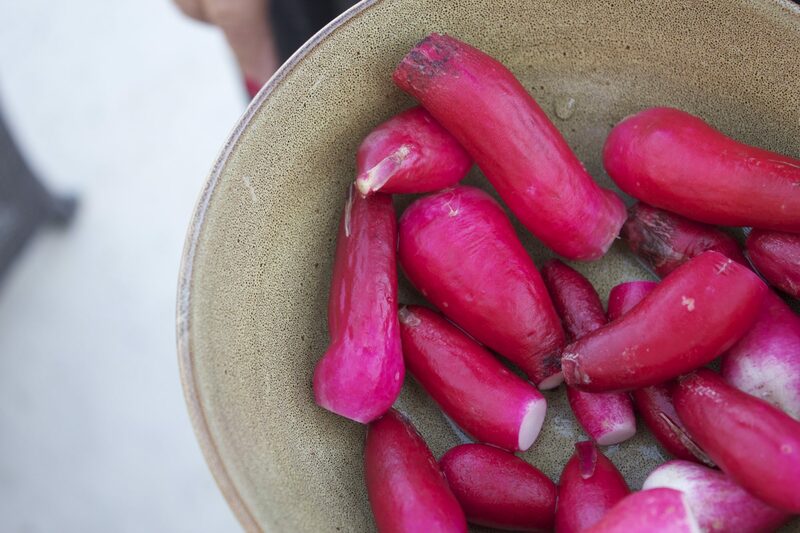 Recently, I ventured out of my culinary comfort zone for the sake of all things delicious. To begin with, the truth is that Kenny and I are not really beer drinkers. Sure, I’ve been known to order a citrus-garnished Blue Moon or a Sea Dog Blueberry Ale from the countless gastropubs in the area every now and again, but that’s mostly because I like their fruity taste, and well…when in Rome. Secondly, I’ve always favored marinading my meats, and never dove off the deep-end of brining before. But since I was in the mood for good, old fashioned comfort food, and was drying my tears over the nail-biter loss in the Ohio State vs. Northwestern football game a couple weeks ago, I thought I’d dream up a new dish. And so… I present to you my very own Beer Brined Chicken Wings. 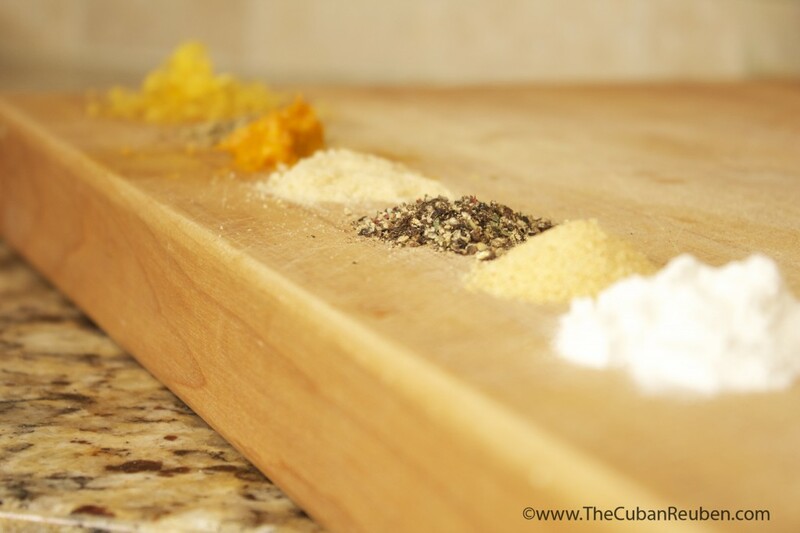 Lining up my ingredients for my home-made dry rub. These wings were a bit of a commitment to make, but let’s get one thing straight. They. Were. SO. Worth. It. First, I used a little elbow grease to separate the wings into flats and drumettes, because in this house, Kenny likes the drumettes, whereas I prefer the flats. Plus, separating them would reduce the cooking time. Then, I created a brine from a few cans of beer mixed with some of my favorite aromatic spices and seasonings. It wouldn’t be a brine without salt, so I added enough to turn the liquid into a salty bath in honor of the tears of defeat I shed for my poor Northwestern Wildcats. Once the wing pieces had soaked in the brine for a few hours, I dried them really well, and coated them with a homemade dry-rub. Lastly, I set them atop my makeshift broiling pan, and broiled the wings until they were crisp and deeply browned. At this point the scent emanating from my kitchen was so strong and so mouth-wateringly divine, I was worried I had inadvertently invited the whole neighborhood to join us. My makeshift broiling pan was just a regular rimmed sheet pan lined with foil, and inserted with a baking rack. Here, my wings are sporting their dry rub suits, and are ready to go in the oven. Try them for yourself, and you’ll never order those greasy, heart-burn inducing delivery wings, again. No need to order in, these crisp and crunchy chicken wings will soon be your go-to party favorite! In a large pot with a lid, combine beer, water, kosher salt, honey, lemon halves, garlic, and grind some fresh black pepper. Stir to mix well. Heat until the salt and honey have dissolved. Bring to room temperature (Or you can cheat, and speed up the process by covering the pot, and adding it to the fridge). Using a sharp knife, carefully separate the flats from the drumettes in the chicken wings. Add the wing pieces to the cooled brine mixture, cover, and refrigerate for as little as 3 hours and up to overnight. Remove the wings from the liquid, and dry using paper towels. 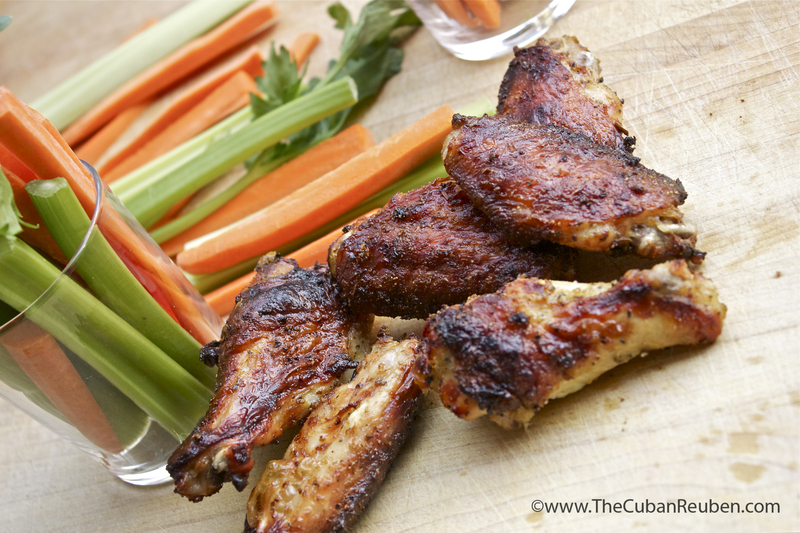 Mix together all the ingredients of the dry rub, and sprinkle on the wings. Massage the dry rub into the wings, making sure to thoroughly coat them. Preheat the oven to 400 degrees, and place the rack on the top level (closest to broiler). 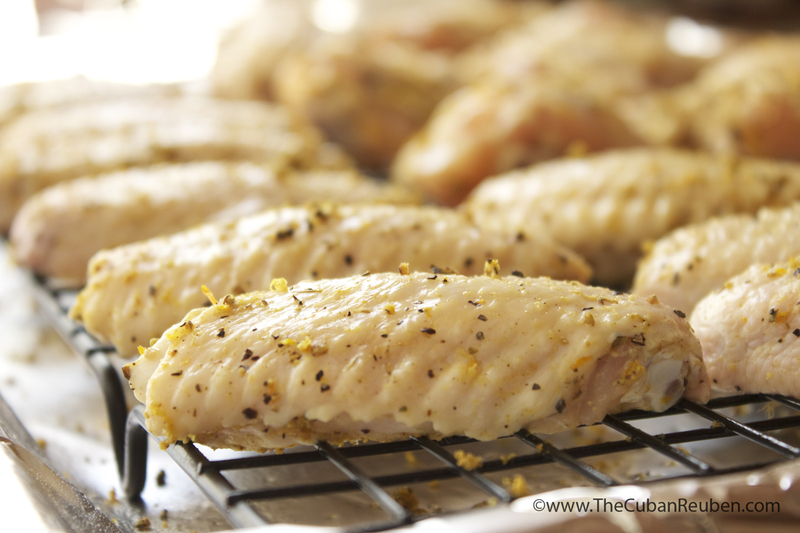 Spray a broiler pan (or make your own by inserting a baking rack into a rimmed baking pan) with non-stick cooking spray, and arrange wings in one layer, making sure the wings are not touching each other. Bake for 15 minutes, then flip wings over, and bake another 15 minutes. Flip the wings over, and turn on the broiler setting. Broil on high for 5 minutes, flip wings, and broil other side for 5 more minutes, or until the wings are browned and fully-cooked through. Gonna try this for OSU/The Other Team Up North Game! According to Kenny, you won’t regret it. He also says Go Bucks. Next PostNext Tostones for Hanukkah!